Subscribe to the Only Six newsletters, write your email into the below box. 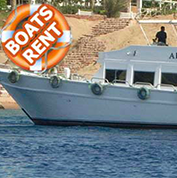 For Private Boat Service with diving guide on board, till 31th March 2019, the supplement will be only 95 eur. The supplement is NOT per person, but can be sharing between the guest on board. Till 31th March 2019 all diivng rental equipment will be discounted of 40%. For more information please write us filling the form below!